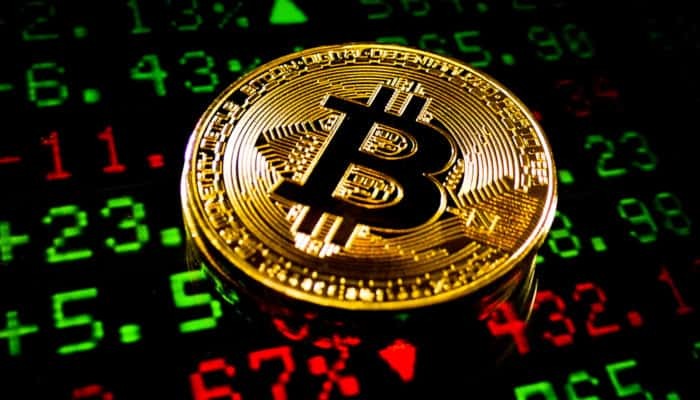 Bitcoin [BTC] remains the most valuable cryptocurrency in the world. 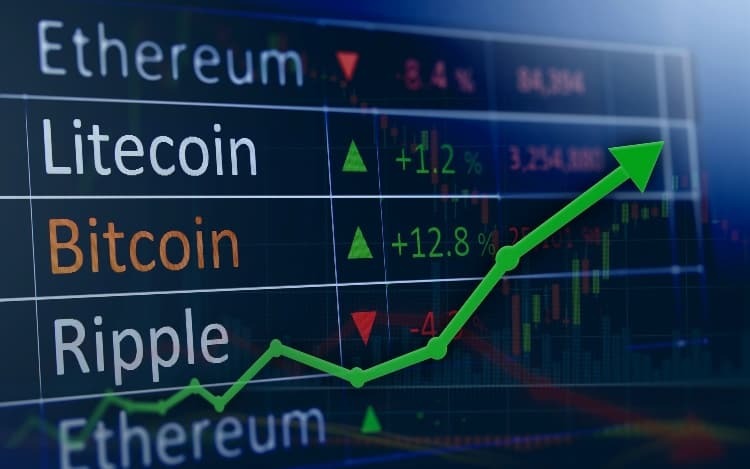 The father of all other cryptocurrencies/altcoins, BTC prices continue to determine whether money flows into these speculative markets, or away. Bitcoin is undeniably volatile, but there are fundamental aspects of this innovative technology which undergird its daily value. We’ll try to help you better understand how we make our Bitcoin predictions, as well as reveal our predictions for Bitcoin prices in 2019 and beyond. For better or worse, Bitcoin is a real currency. Just like a currency created by a government, Bitcoin has a fixed supply: 21 million exist, 17.5 million are available in active circulation. Also like a fiat currency, Bitcoin fluctuates in value according to the laws of supply and demand. Fiat currencies like US Dollars do the same thing, though we don’t often realize it because most people don’t compare the value of USD to anything but itself. But when USD currency markets are flooded (lots of dollars available due to inflation and other forces), users of USD can buy comparatively less with their money than they could when the supply was lower. The same is true of BTC. BTC value is mainly based on 1) its scarcity, and 2) universal agreement that Bitcoin is money. We’ve covered the first point already. Any finite resource, like gold, is valuable if people want it and use it. People want Bitcoin. This leads into the second point, because people want Bitcoin and use it to trade for goods and services, everyone who is active in this market agrees that Bitcoin is money. Therefore, Bitcoin has value. This value changes depending on what people believe Bitcoin is worth at any given time. If the market agrees one day that Bitcoin is going to become more scarce (i.e. more valuable), then prices will increase because everybody agrees that Bitcoin’s future is bright. On another day, news of nasty government regulations might make it seem like Bitcoin’s future is in jeopardy, causing people to sell the Bitcoin they have for a lower price, because they’d rather have the US Dollars that they can get in trade. There are a million other reasons why BTC prices rise and fall. Most have to do with market sentiment (how people who use BTC feel about it at any given moment, often based on news) and market economic factors (trading patterns, how much BTC is available, how profitable it is to mine BTC, etc.). As Bitcoin investors grow to understand these various factors that go into influencing the Bitcoin price, they’ll be able to make more informed investment decisions. They’ll be able to make educated speculations about the future value of Bitcoin (which we’re about to try to do here today), and will be able to make sound decisions without having to use scam products like bitcoin robots. To understand why Bitcoin is so valuable today and why so many people want to purchase bitcoin, we’ve got to look at the history of BTC. When Bitcoin was invented more than 10 years ago, there was no such thing as a cryptocurrency market. Slowly, people on the internet started to hear about Bitcoin, and to read the revolutionary paper published by its creator, the pseudonymous Satoshi Nakamoto. Early adopters started the acquire Bitcoin any way they could, and gradually early Bitcoin exchanges started to crop up on the internet. In its earliest days of Bitcoin price history, 1 Bitcoin was traded for basically nothing. The highly skilled and savvy internet denizens who understood it often traded it by the thousand for little or no money, just to spread the nascent movement. At its height in 2009, 1 Bitcoin traded for 3 cents ($0.03). A year later, this price topped out at 5 cents ($0.05). In 2011, BTC prices surpassed $10. In early 2013, BTC prices topped $30. Then things really took off. By the time tracking sites like CoinMarketCap started to appear, Bitcoin was already trading for well over $100. This phony internet money that so many had heard about in the news was starting to sound like a real asset, despite its being totally digital. Suddenly, in late 2013, Bitcoin prices crested $1000. This price event didn’t last long, and BTC prices fell below that mark, fluttering around in the mid-hundreds, until February 2017. At this point, Bitcoin prices began a historical run that would become a story the world over. In late December 2017, Bitcoin prices topped $20,000. This was a heady time for anyone involved in cryptocurrency, and analysts speculated that prices would only increase. The sky was the limit. Bitcoin would soon surpass $1,000,000 per coin! To this day, millions of people are continuing to trade bitcoin online. But what’s the Bitcoin price live today (early April 2019)? Bitcoin prices hover in the low-mid $3000’s. The bubble has popped, and many of the altcoins that sprang up in Bitcoin’s wake during the last bull run have ceased to exist. Bitcoin is still trading at many thousands of times its original value, but it’s only a shadow of its previous glory in late 2017/early 2018. The question is: what happens next? It should go without saying that no one can predict the future price of Bitcoin. It’s an experimental asset that doesn’t follow the laws of any historical currency, and there are plenty of powerful groups and governments would would love to 1) take over control of Bitcoin, or 2) cancel Bitcoin forever. That said, we think that Bitcoin is still the most robust cryptocurrency in the world and it has maintained its position as the most purchased coin on most cryptocurrency exchanges. People use it. Intensive development continues on its software. No one seems able to ruin it, try as they might. Even though this bear market seems very interested in sticking around, we think that we’ll see at least some manner of recovery before the year is out. That said, here are our Bitcoin price predictions for 2019 and beyond. Bitcoin price USD and Bitcoin price EUR go hand in hand. We expect these prices to stabilize in the $3000 area, then recovery modestly in the spring and summer. In the meantime, we’re going to see a lot of altcoins cease to exist. They won’t have the money to keep up development. They’ll start hemorrhaging users, and whales will start to sell off their heavy bags. By 2020, we’re going to see a great deal of maturity in various corners of the Bitcoin universe. Bitcoin will be faster and cheaper to use, through development of the Bitcoin Lightning network. Certain major retailers, especially online, will start to accept Bitcoin as a standard payment option. Third party applications will make it effortless to use Bitcoin for payment in the real world. Bitcoin will become a de facto national currency alternative in nations like Venezuela, where fiat currencies have entirely failed. There are those who believe that this future is completely inevitable. We don’t count ourselves among this pack. Bitcoin could always fail, and there are reasonable people who believe it will. Even so, we think there is better reason to believe that Bitcoin’s golden age is still ahead of it. Any revolutionary technology, idea, or social movement takes decades to fully mature. Bitcoin is only 10 years old. If progress continues, as seems more than likely based on close and fair analysis, the future seems truly bright. I always use this chart to know the best investment to put my money in. Very good and easy to use.